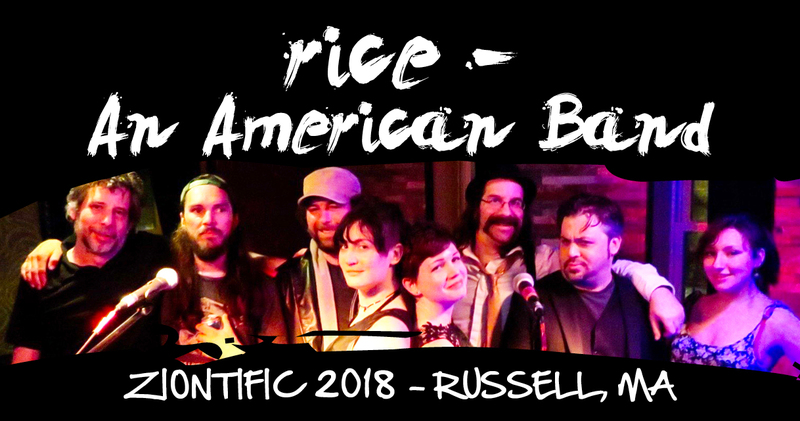 rice – An American Band hails from Warwick MA and features some of the finest players in Western MA, with an emphasis on song writing and delivery. rice was born at a party in Warwick MA when three friends who live not far from each other came together and decided to jam some tunes. From there it cascaded, with members gelling on the songs, bringing in additional friends to perform and contribute, and a slow simmer turned into a boil. Most of the material within rice – An American band’s repertoire is written by Phil Simon, with arrangement and performance contributions by all band members. The band now frequently features three voices, with Simon, Courtney Parker and Patty Tuite all contributing vocals and song leading. The Instrumental prowess for the other players is a force that continues to gain steam and momentum with each player able to take off at a moment’s notice. But all of the mightiness and strength is directed toward the song, with jams launching from and returning to songs.